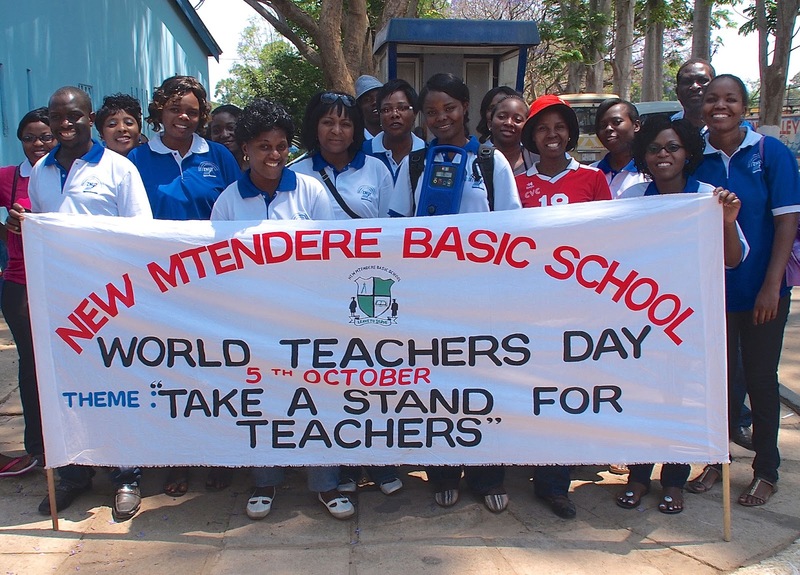 Some 1.7 million more teachers are needed to achieve universal primary education by 2015, the second of the eight anti-poverty Millennium Development Goals (MDGs), the heads of various United Nations agencies said today in a joint statement marking World Teachers' Day. "On this day, we call for the creation of supportive teaching environments, adequate teacher training and safeguards for the rights of teachers," the agency chiefs said, calling on governments to provide required training and fair salaries reflecting the importance of the profession while teachers, in turn, must be accountable to their students and communities. "We must break the vicious cycle of declining professional conditions for teachers in order to improve the quality of learning for all," they added. "The world expects a lot from teachers – they, in turn, are right to expect as much from us." The statement was issued by UN Educational, Scientific and Cultural Organization (UNESCO) Director-General Irina Bokova; the UN Children's Fund (UNICEF) Executive Director, Anthony Lake; the UN Development Programme's (UNDP) Administrator, Helen Clark; the UN International Labour Organization's (ILO) Director-General, Guy Ryder; and Fred van Leeuwen, the General Secretary of Education International, which represents teachers' organizations across the globe. "Attracting committed and diverse teachers requires environments that value professional autonomy and equality," they said. "Teachers need to be supported in fulfilling their responsibilities to students, and their voices must be listened to by school leaders, education systems and public authorities." According to UNESCO, teacher shortages remain a major obstacle for countries to achieve the goal of universal primary education, with a quality education offering hope and the promise of a better standard of living, while also noting that there can be no quality education without competent and motivated teachers. World Teachers' Day, held annually since 1994, commemorates the anniversary of the signing in 1966 of the UNESCO/ILO Recommendation Concerning the Status of Teachers, and celebrates the essential role of teachers in providing quality education at all levels. The Recommendation concerning the Status of Teachers has, essentially, served as a charter of rights for teachers worldwide. The slogan for this year's observance is 'Take a stand for teachers!' which, according to UNESCO, relates to the need to provide adequate training, ongoing professional development, and protection for teachers' rights. The 63-year-old UN Relief and Works Agency for Palestine Refugees in the Near East (UNRWA), which assists some five million registered Palestine refugees in the Middle East, marked the Day by launching two programmes focussed on school-based teacher development and quality improvement that underscores the Agency's broader human development and humanitarian agenda. Education is UNRWA's largest programme, accounting for more than half of the Agency's regular budget, with one of the largest school systems in the Middle East, providing half a million Palestine refugee children with free-of-charge basic education every day. "Across the Arab World, countries are striving to improve the quality of their education system through reform," UNRWA's director of education Caroline Pontefract said. "Many lessons have been learned about what is important, what to focus on, and the way in which to change and improve on what we have. UNRWA's education reform reflects these lessons with the focus it places on teachers and school leaders, who are key actors in achieving quality education."